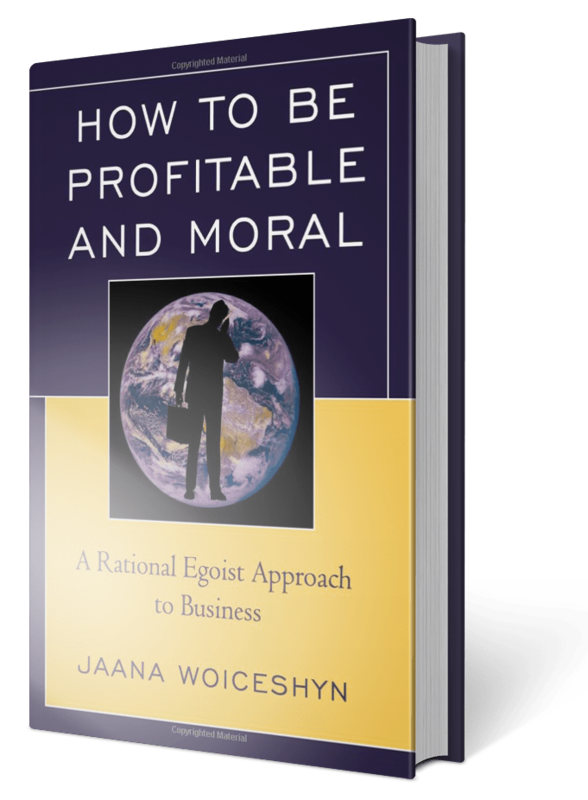 When I tell people that I teach business ethics, I am often told that it is an oxymoron because business cannot be moral. That view is common, thanks to the wide acceptance of altruism as a moral code. The view is also mistaken, and we should be concerned because such a view hampers the ability of business to create wealth by producing and trading goods and services—on which our survival and well-being depend. Business is being criticized and attacked by leftist intellectuals (including business school professors), the media, Hollywood writers, producers and actors, among others. Defending against the critics, or worse, appeasing them, diverts business people’s time, energy and resources away from their main purpose, producing and trading material values, and creating wealth. 1) Business is not a zero-sum game—it creates wealth. The view that business is a zero-sum game—somebody’s gain must be someone else’s loss—is based on the idea that there is only a limited pool of values available and we must compete over them as animals do: only the fittest survive, or the rich get richer and the poor get poorer. (Thomas Piketty’s Capital in The Twenty-First Century became a best-seller on the strength of this mistaken argument). However, humans create (and trade) material values through business, generating profits and making everyone better off. Without profit-making firms we would not enjoy the material values available today, such as comfortable homes heated and lit by energy; cars, airplanes, and ships that allow fast and (relatively) convenient transportation; computers and cell phones that enable us to work and communicate in ways unimaginable to people just a couple of generations ago. Instead, we would be stuck in a self-subsistence or barter economy. Without profit-making firms, there would not be capital to finance innovations for better and cheaper products, new medicines to cure illnesses, technologies to help us work more effectively and live more comfortably. (The idea that capital just gets hoarded, sitting idly in bank vaults as opposed to being invested in research and development and further production, counters evidence and logic, no matter how many pages of arguments and statistics Thomas Piketty and his kind produce). 2) Business is win-win—it trades values. The tired old argument of Karl Marx and his 21st century followers is that by creating profits for owners, businesses exploit their workers by paying them too little (and their customers by charging them too much). However, by creating profits, business firms make their workers (and customers) better off. Profit-making companies trade value for value: wages for their workers’ productive effort and goods and services for the prices customers pay. If a company tries to pay too little to their employees (less than what their labor is worth), they can go to another employer that pays market wages. The same applies to customers: if one company tries to charge too much, the customers will buy what they want from a competitor with lower prices. Trading is voluntary, and everyone benefits. 3) Business pursues self-interest—and is moral. Ethicists have long taught that conduct motivated by self-interest cannot be moral (that altruism is the only acceptable moral code), which explains those “business ethics as an oxymoron” comments. However, altruism is not a guide to life, or to business, if survival and flourishing are our goals. Business, by definition, pursues self-interest. And that is moral, because production and trade of goods and services for profit is consistent with the requirements of human life. The pursuit of self-interest, by definition, is not predatory. It cannot be achieved by trampling on others; predators like Bernie Madoff are not businessmen. Only by respecting the individual rights of others can business achieve its self-interest: long-term profitability which leads to the flourishing of all parties involved in the trade: employees, customers, suppliers, and owners. Business is moral because our lives and well-being depend on it, and businesspeople are heroes and moral creators who deserve, not our disdain and criticism, but our thanks. Previous articleCapitalism versus the climate? Excellent, as always, Jaana. Thank you. Love the Page West video, Jaana! Thank you! One confusion in the mind of voters is that some individual business people themselves are not moral, just as some individuals themselves are not, and many politicians and neo-Marxist activists are not (aside from their intellectual dishonesty). The antidote to that is individual freedom supported by justice and defense systems, including criminal law (fraud), contract law, and tort law in general (harm, such as resulting from negligence). A problem is government initiation of force to shelter businesses from people’s choice in the market, such as by subsidies and grants of monopoly, but not protecting people against initiation of force by companies or individuals. Hernando de Soto’s books cover the impact on poor people in places like Latin America and Africa of governments, including demanding bribes, very slow issuing permits if they will at all, and not protecting property rights. Thanks, again, Keith, for your observations–I agree. (And sorry for the tardy reply; it’s been a hectic semester so far).